We congratulate the recipients of honors and awards at the Awards Ceremony of our RECONNECTING 2016 conference in Miami on 7-8 September, at which Netanya Academic College bestowed honorary degrees and awards upon the Hon. Henry Cisneros (Honoris Causa Degree), Prof. Anita Waingort Novinsky (President’s Award), and Ms. Genie Milgrom and Ms. Neomi Dezer (Woman of Valor awards). 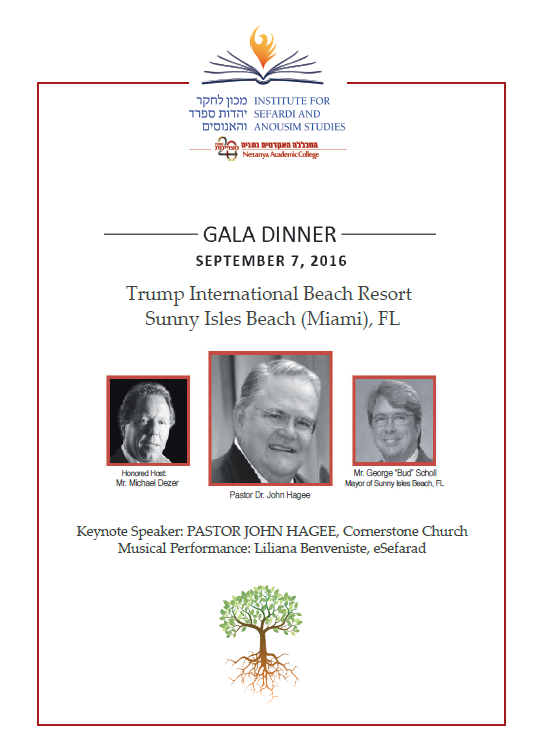 The program for the Gala Dinner of RECONNECTING 2016 includes the honorees and their awards. Click here to see the program.